Welcome to The LiftOff Project– I’m so thrilled you’re here! I look forward to helping you experience the satisfaction and fulfillment of a sustainable, successful life. A new episode of the show goes live every Thursday. Be sure to subscribe using the links above, and it will automatically be sent to you. Got a question for my Ask Coach Pamela segment? Visit this page to leave me a voicemail. If your message is selected you’ll get some tips and coaching in an upcoming episode, plus I’ll send you a deck of ReinventionCards® as a gift! Also, I would be truly grateful if you left a review for the show on iTunes (click HERE to do so). Your honest comments have a tremendous impact on the show’s ranking and will help others to discover it. Thank you in advance for your support, and I look forward to helping you lift YOUR life! Inspirational singer-songwriter Karen Drucker joins me for a musical party in today's episode! 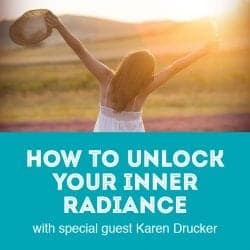 Karen shares her journey of how she came to make music that makes a difference and offers tips for how we can tune in, listen to the inner nudges that guide us, and allow our "big bright brilliant beam of radiant light shine." I take a break from our regularly scheduled programming to have a frank (and quick!) 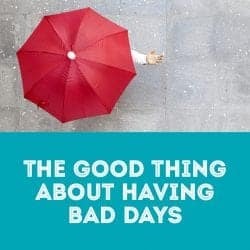 chat with you about a few of my most recent bad days and the strategies I use to navigate through the tough moments. 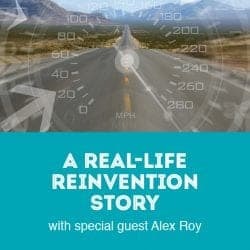 It’s a no-holds-barred interview with Alex Roy, editor-at-large for TheDrive.com, who joins us to share his reinvention story. In a brutally honest and funny conversation, Alex lets us in on the tough lessons and hard-won insights he gained on the bumpy road of his reinvention, and why—even when you hit rock bottom—it’s so important to choose what you REALLY want and pursue it. 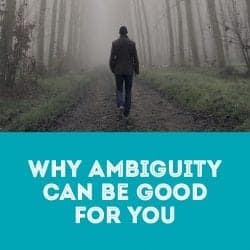 Today’s eye-opening topic is how our brain’s natural aversion to uncertainty can cause us to take the familiar—yet riskier—path. In Tales From the Coaching Front. I focus on useful strategies to overcome that roadblock so you can maximize your opportunities in career reinvention. And in Ask Coach Pamela, I answer a question from two separate clients feeling drained by regrets, and offer them a recipe designed to reclaim personal power and move forward. 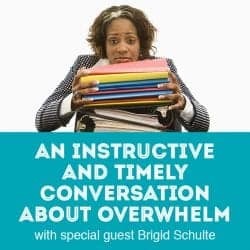 I interview award-winning journalist Brigid Schulte about her book Overwhelmed: How to Work, Love, and Play When No One Has the Time. In an honest and compelling conversation, Brigid gives us insights from both the practical research and her personal journey that will stop us from drowning in the deluge of busyness and move to a space of “time serenity”. Time for a new perspective on a challenging emotion! In Tales from the Coaching Front, I share how you can harness the energy behind that little green-eyed monster and turn it into a superpower for magic in your life. And in Ask Coach Pamela, I give you the inside scoop on the three biggest mistakes most job seekers make, and specific tips for how you can avoid those traps. 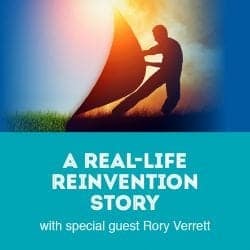 We hear a revealing story of what it's REALLY like to go through a reinvention from Protégé podcast host (and former client) Rory Verrett. He joins me for an unfiltered conversation to share the up-and-downs, the fears and the humor and why—despite the tough moments of the journey—it’s worth it to step off the expected path and seek a more fulfilling career. 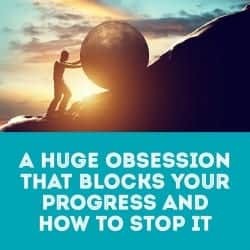 Today I give you the cure for a hidden syndrome that causes you to get stuck in the midst of a big project, so that you can sustain your momentum towards your goals. And in Ask Coach Pamela, I recommend a book with a unique twist on how to pitch yourself that gives you a powerful edge in job interviews. 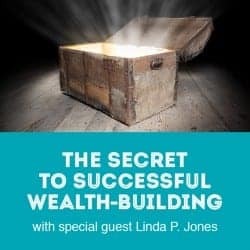 America's wealth mentor Linda P. Jones joins me this week to with the keys to establishing true affluence. 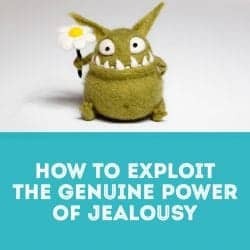 A multi-millionaire by the age of 39, Linda shares advice on breaking through your mental barriers, driving away fear and feelings of unworthiness, plus a creative (and unique!) way to use affirmations to achieve your wealth goals. 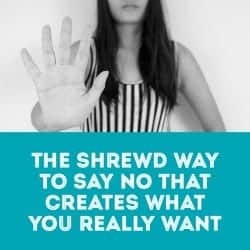 This week, I give you an empowering strategy for saying “no” that will open doors instead of closing them on your path to reinvention. That’s right, all “no’s” are NOT created equal! And in Ask Coach Pamela, I teach a listener the truth about her fear that a “skills gap” will impact her ability to create a successful reinvention later in life.